Thought cloud produces 100% organic, lab tested CBD oils made from hemp plants grown on licensed farms in Colorado, USA. Thought Cloud CBD plant medicines are organically grown with no additives or preservatives and contain the natural medicinal constituents of the plants from seed to oil. No adulteration. 0.5 FL OZ (15ml) of our purest CBD hemp oil contains 200mg of CBD. Ozonated Coconut CBD Skin Cream is a blend of coconut oil with ozone bubbled in to the medium to create a salve that is helpful in beating out viruses, treating acne, psoriasis and eczema. 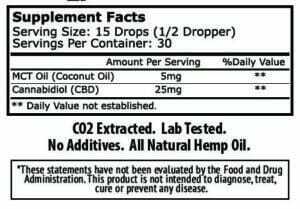 1.0 FL OZ (30ml) of our purest CBD hemp oil contains 600mg of CBD. Thought Cloud CBD extracts is oils from hemp plants grown on licensed farms in Colorado, USA. Thought Cloud products are whole-plant extracts. The plants used to produce our products are grown using organic and sustainable farming practices. We are committed to serving your CBD oil needs in every step of your CBD oil experience. We are committed to taking care of your needs from seed to relief. Every batch is infused with positive meditation and reiki energy before sale. Our company believes in keeping energy high vibration and positive.